provides visibility into both server and client-side vulnerabilities, discovers the use of common protocols and services (e.g., HTTP, SQL, file sharing), and performs full asset discovery for both IPv4 and IPv6, and even on hybrid networks. and provides full asset discovery of BYOD and virtual systems. 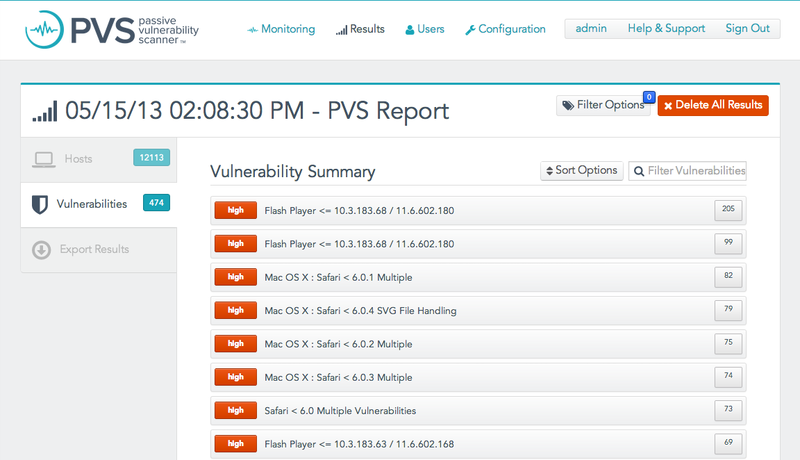 Nessus Passive Vulnerability Scanner (PVS) is perfect to drop into any network or network segment for continuous vulnerability detect and full asset discovery. Try it free to monitor vulnerabilities up to 16 IP addresses. The Tenable Passive Vulnerability Scanne (PV) continuously and passively detects mobile devices, virtual infrastructure, and cloud applications (often described as "shadow IT") used on your network. Whether these assets are managed or unmanaged, PVS is the only scanner that can detect them, their vulnerabilities, and behavior that create compliance risk and security exposure. PVS detects operating systems, services, and applications, as well as vulnerabilities in all network traffic. 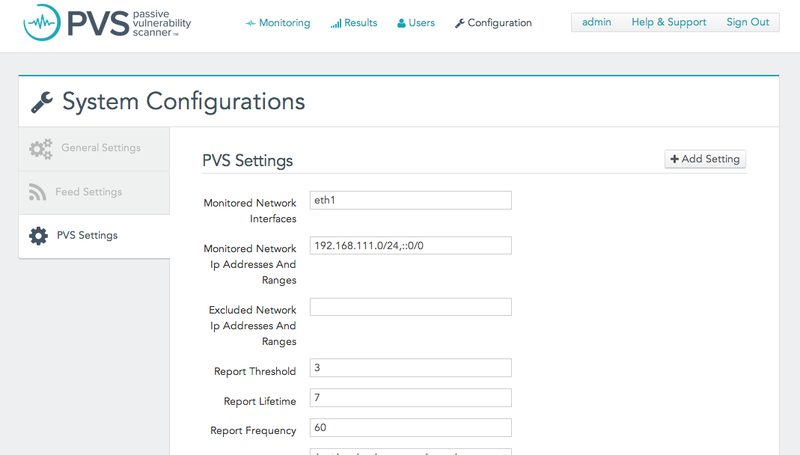 PVS easily installs in networks to monitor network traffic at the packet level. The integrated web-based interface provides user management, scanner configuration, plugin updates, report set-up, and customization. This self-contained solution makes it easy to discover common protocols and services (e.g., HTTP, SQL, file sharing), eliminating gaps in time and covering areas of your network and assets that active scanners alone cannot. With its integrated interface, PVS provides unparalleled point monitoring for highly-sensitive networks or network segments. Site vulnerability protection scanner is the degree of protection against danger, damage, loss, and criminal activity. Security has to be compared to related concepts: safety, continuity, reliability.